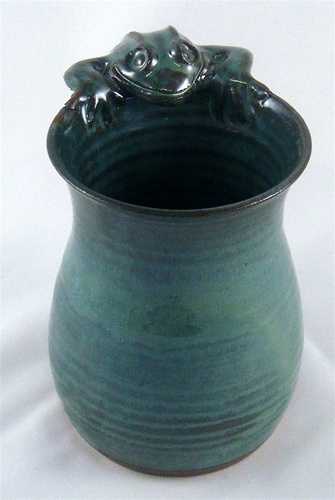 Joey Jablonski of Funkware Pottery Canaan CT, makes these fantastic frog handle mugs! 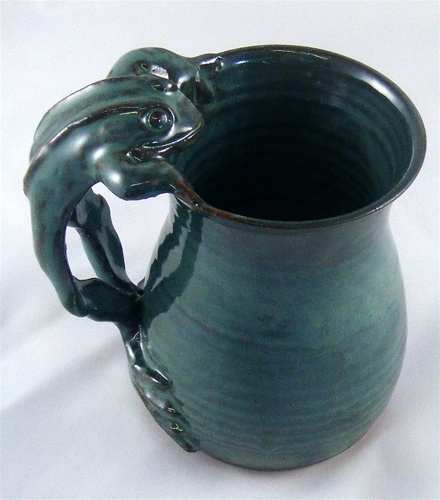 These beautifully unique, durable Mugs are made using Sheffield Pottery Stoneware Clay; and are the perfect gift for Mom, Dad, A Best Friend, Lover, or that hard-to-shop-for person on your gift list. and, are just perfect for a generous cup of steamy, aromatic coffee, or a smooth, sensual, warming cup of Hot Cocoa.